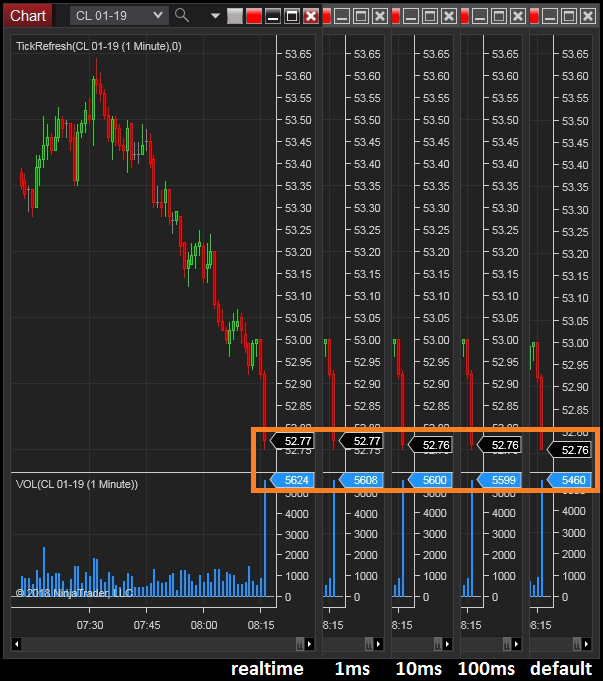 This indicator allows chart updates on each tick or price change with a user defined refresh time interval. Update 4/04/19: Improvements to latency and frame rate. Update 3/28/19: Optimizations to reduce CPU usage and prevent lag in volatile markets. Warning: Use of this indicator can adversely impact the performance of NinjaTrader resulting in but not limited to market data lag and/or an unresponsive user interface. It may be required to disable or, adjust the properties of this indicator in fast-moving markets and/or on lower powered PC’s.